I Had a Bad Run, and Here’s What I’m Doing About it. Running with a partner can motivate you to stick to your training, keep you going on days when you’re tempted to cut the route short, and give you something to look forward to. 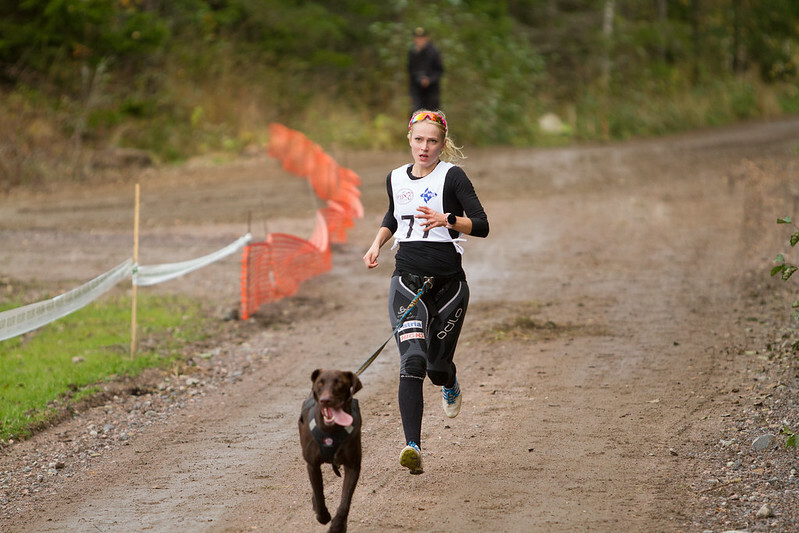 Some people, rather than using a human running buddy, choose to run with their dogs. Here are my thoughts on the subject. Why Run With the Dog? Although many humans call their dogs their “fur babies,” pamper them with trips to the dog salon, and push them around in dog strollers, the facts remain that dogs are adapted for movement. Running with dogs helps the dog stay in shape, gives him something to look forward to, and can sometimes curtail destructive habits, particularly in energetic breeds that live indoors. Many dogs love moving their bodies with their humans. Humans likewise benefit from choosing a dog as a running partner. Those who use a daily run as a time to unwind may actually prefer a canine running partner who doesn’t expect chatting or in-depth interaction. Canine running partners never cancel at the last minute, and may motivate you on days you would rather sit on the couch and watch television. After all, who can say no to the big brown eyes pleading at the front door for a romp around the block? While pretty much all dog breeds like to go for a quick run, certain breeds of dog are more suited to running long distances. Working dogs, like greyhounds, shepherds, and retrievers will love running and, if you work up to it, can stay with you over long distances. However, smaller dogs, particularly those with squished in faces like pugs, may not be suited for long distance running. They may overheat or fatigue too quickly. If your dog is a high-energy animal, he can probably handle a good run a few times per week. While pups may seem tireless, you may want to think twice before you take them on a long run. If a puppy is not completely developed, his skeletal system may suffer from the stress of running, particularly on paved trails. Larger framed dogs like Great Danes can take up to two years to complete their growth, while smaller dogs may be filled out by eight or nine months of age. Check with your veterinarian to make sure that your young dog is ready to run with you. On the other side of the issue are older dogs. If your dog has limited mobility, you may want to just stick to sedate strolls down the block. Additionally, you should have the vet check an older dog before you start running with him, even if he seems like he can handle it. Certain breeds are more likely to develop hip and knee issues with age, and you don’t want to accelerate any problems that could develop. When you run, keep track of how your dog is doing. If it’s hot, he may need extra water breaks since his panting can dehydrate him. Learn the signs of fatigue, and give him a breather if he’s too tired to continue. If he begins lagging behind you, breathing too hard and fast, and is looking droopy, it’s time to take a rest. Keep in mind that asphalt and concrete can burn his paws on hot, sunny days, and on snowy trails, his feet can get too cold. If you regularly deal with weather extremes while running, you really should investigate protective boots for his paws that will keep your running buddy’s feet in great shape. It may take some time to accustom your dog to running. It’s okay. Be patient while he learns what you expect. Just like humans, dogs take time to work up to long distances. Be consistent, and eventually your dog’s endurance will match your own. Additionally, set your dog up for success. Dogs who struggle to stay at heel on an ordinary walk will struggle to stay right next to you while running, so don’t let your dog off-leash until you’re completely confident that he’ll stick around. Certain breeds, like greyhounds and beagles, may always get off-track easily, so they may never be able to be off-leash while running. Even if he’s great at obeying you, he at first may wonder why you’re running so quickly when past walks were more sedate. Give him time to get used to the idea of running past all the great smells and interesting sights. Just like humans, your dog will need to alternate spells of walking and running while working up to long distances. Walk for five minutes at the beginning, and then alternate two minutes of walking with two minutes of running for a week or two. Gradually, you can increase the running intervals and slowly decrease the walking times. At first, you will want to alternate days of running with a rest day in between. If your dog is young and healthy, eventually he may be able to run every day. Not only will you and your dog experience physical health benefits from running together, chances are that both of you will experience better emotional health, since running makes both humans and dogs happier! Previous Previous post: I Had a Bad Run, and Here’s What I’m Doing About it.